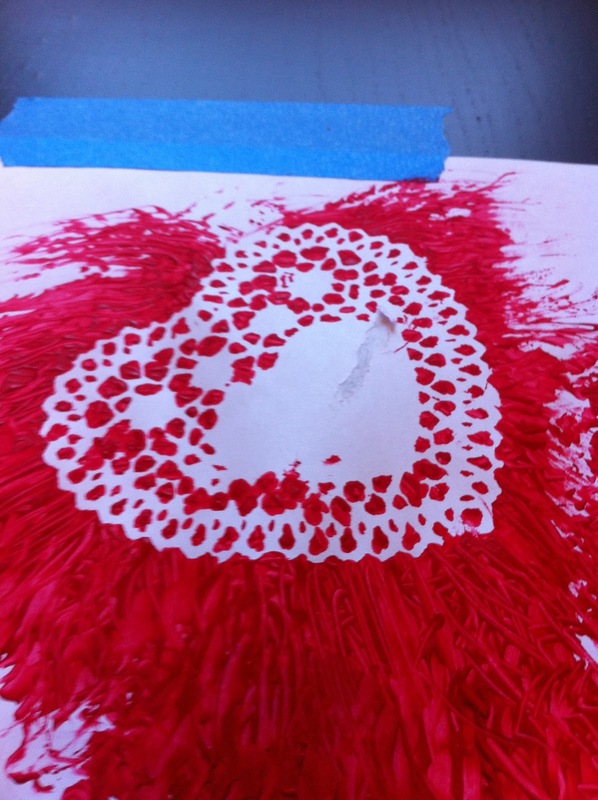 I discovered a great section on doily printing. I recently got this book and it is filled with lots of great ideas that I can't wait to try! I set up for this project very similarly to how we did our post-it stencil painting. I taped a large sheet of paper to the table with painters tape. I then made painter tape donuts (when you curl the tape in a circle) and put them on the back of the heart doilies. 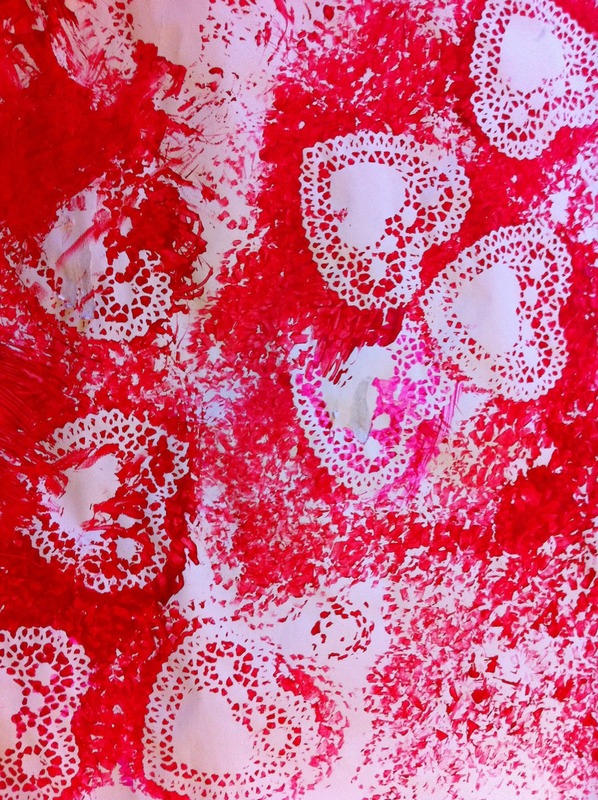 The Bee stuck the hearts where she wanted all over her paper. 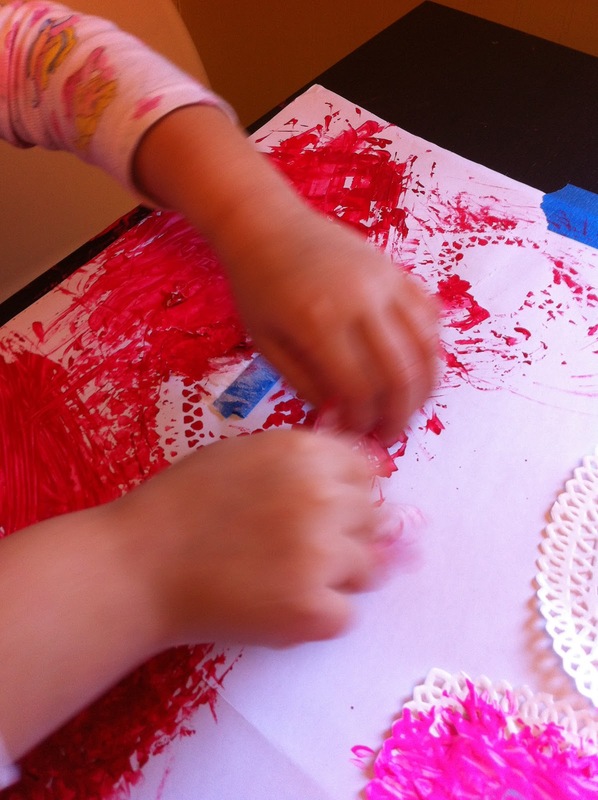 Once the Bee had placed all her hearts, I poured some red and pink tempera paint onto a plate and she started painting the whole paper with our DIY Paint Brushes, which are perfect for stencil painting. When she was finished she peeled off the hearts leaving a super cool intricate pattern on the paper. 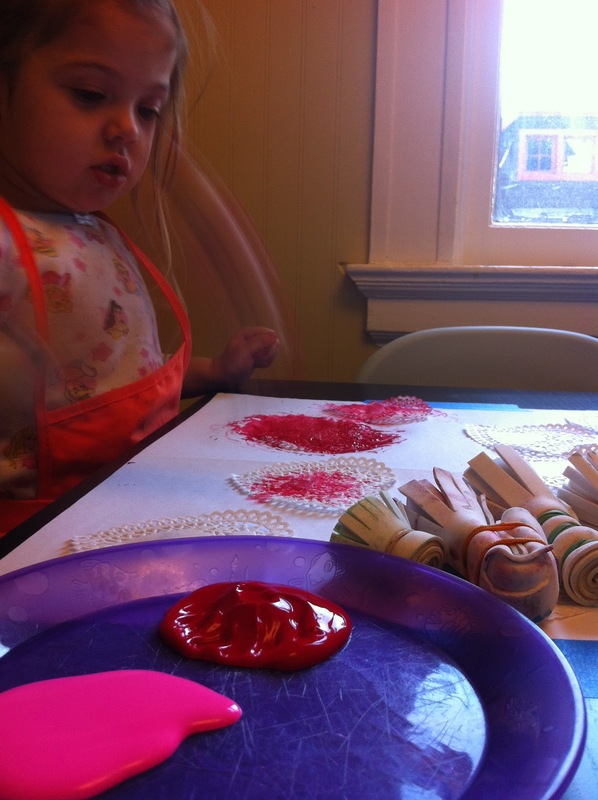 She and I have been discussing cutting up the painting and using it to make valentines cards for her friends.